This sampler from Artful Tea provides you and your better half with 14 romantic tea flavors. 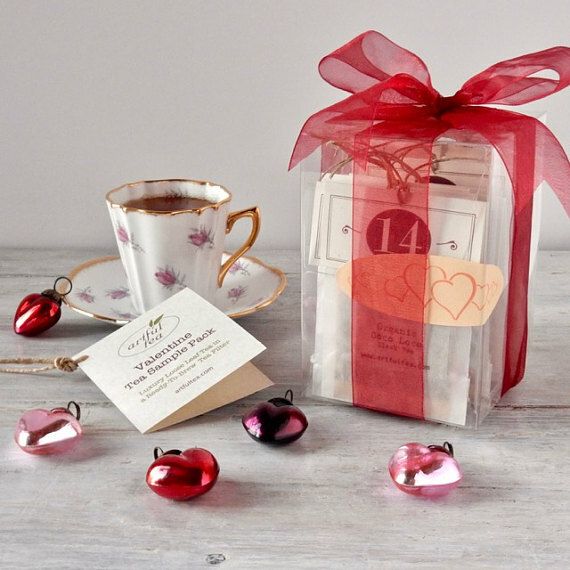 The handmade, compostable tea bags are bundled in lovely red ribbon to enhance the mood. Flavors include Chocolate Strawberry, Vanilla Velvet, and Pasion Petal Oolong. Yum! This tea from Sarah Taylor Moore is “especially formulated to take care of the heart chakra,” and promises to promote balance and encourage “an open and peaceful heart.” Presented in a 6-inch tin, the tea is green, fruity, and floral. Brew a cuppa if you want to feel the love this Valentine’s Day. 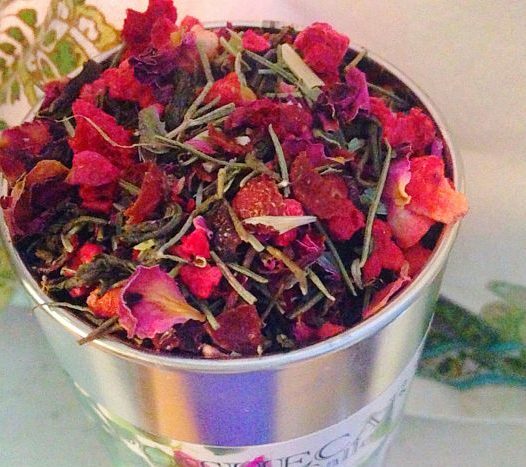 This blend from DAVIDsTea is perfect for the loved one who loves Shakespeare. 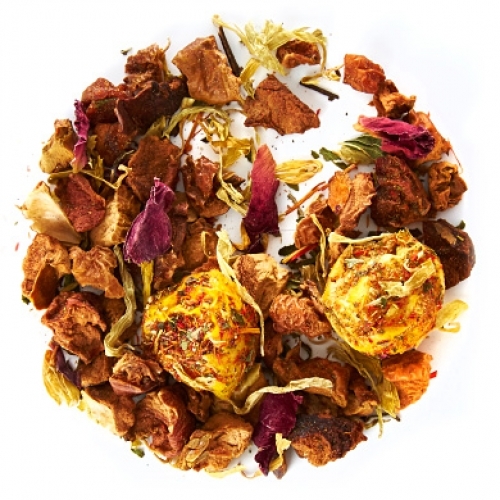 The tea boasts citrus and mint notes, with flavors of apple, gooseberry, marigold, and rose filling out its profile. Caffeine-free, pair this tea with a few poetic compliments, and your night will be Bard-approved. 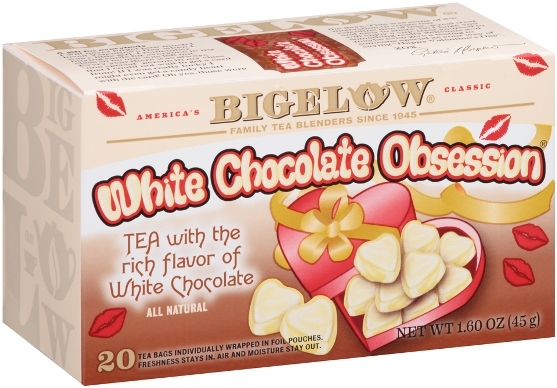 This tea from Bigelow is all-natural, gluten-free, and kosher. Black tea is flavored with cocoa powder, white and dark chocolate flavors, carob, and grape seed extract, building a complex and satisfying cuppa for you and your plus one. 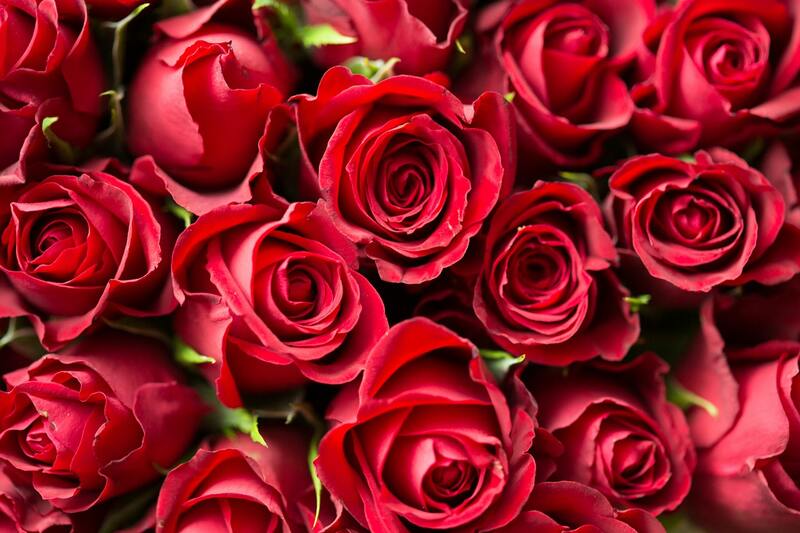 Treat your love to a unique type of tea—tea drops. Simply place this innovative product in a teacup, pour hot water, and watch your tea dissolve before your eyes. 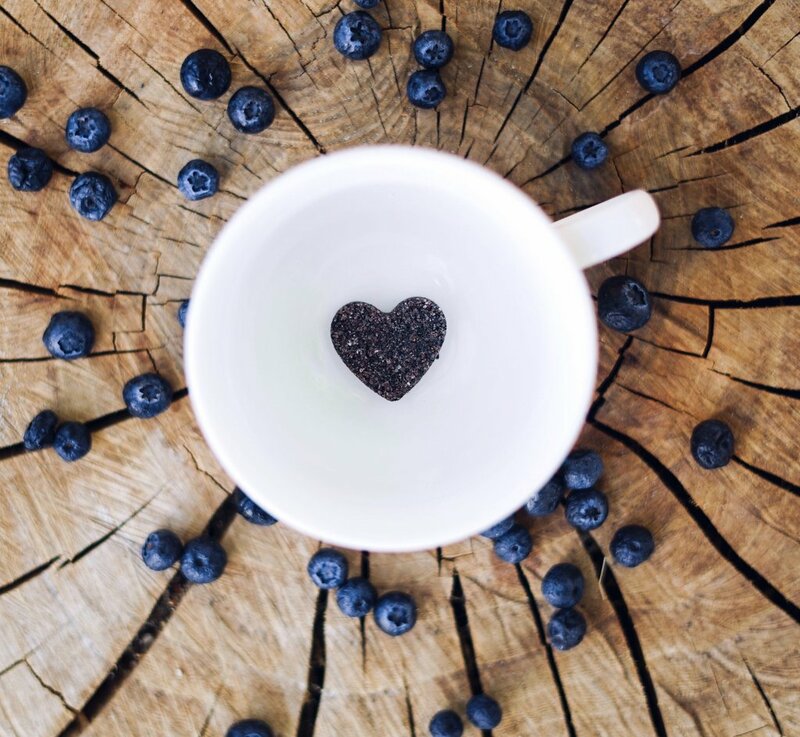 The heart-shaped drops are perfect for the occasion, and the fruity, tart flavors of this tea will create a playful, romantic mood. 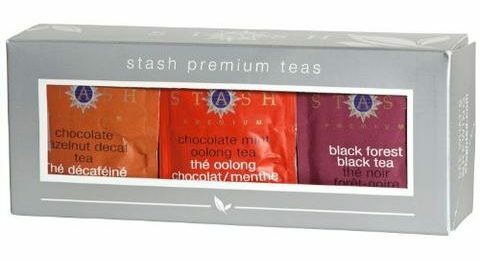 Tea ingredients include: organic white peony tea, blueberry, acai berries, and cane sugar. This assortment from Republic of Tea gives you and your bae a sinfully delicious array of options. 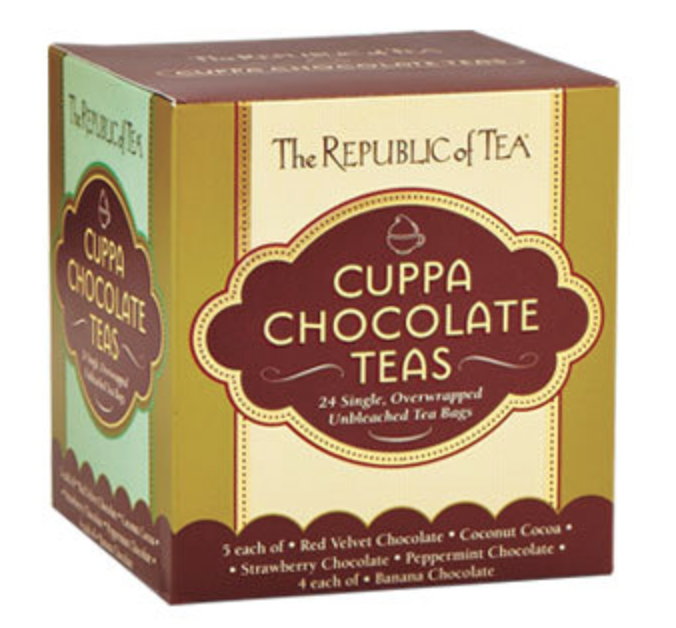 Choose from: Red Velvet Chocolate Rooibos, Coconut Cocoa Herbal, Stawbverry Chocolate Rooibos, Peppermint Chocolate Rooibos, and Banana Chocolate Rooibos. 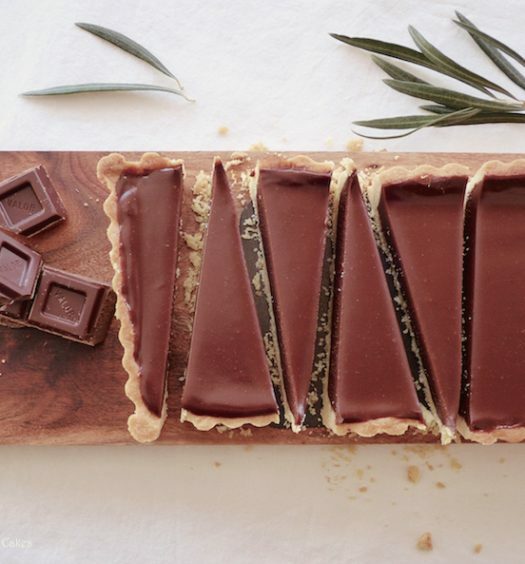 All zero or low calorie and sure to satisfy any sweet tooth. If your paramour considers Pride and Prejudice to be the ultimate love story, this tea will knock his/her socks off this Valentine’s Day. This sampler from Bingleys Teas includes four teas inspired by characters in the classic novel. The first tea in this pack is Mr. Darcy’s Pride, a medium roast oolong from the Wuyi Mountains in China blended with a black tea from Sri Lanka. 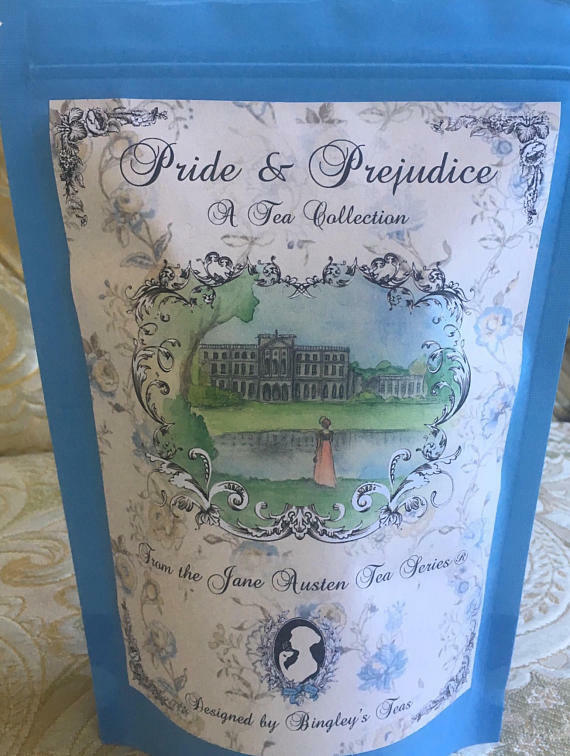 The tea begins with “an assertive, almost mineral” taste that eventually “opens up to chestnut and finishes with soft plum,” the same way that Mr. Darcy’s true, swoon-worthy character is slowly revealed. The second tea, Lizzie Bennet’s Wit, is a strong black tea blend, reflecting her strong character with notes of cranberries. The third tea, Sweet Jane Bennet, is a blend of green and black teas sweetened with notes of vanilla, imitating Jane’s “angelic sweetness.” And finally, the fourth tea, Longbourn Wedding, is a romantic white tea with champagne and rose flavors that make it perfect for any spouses to celebrate being forever Valentines. 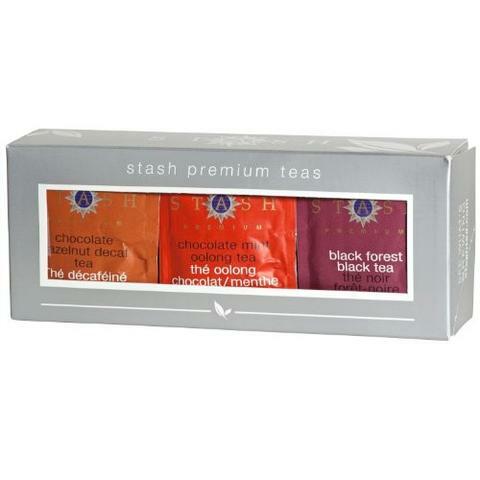 This Valentine’s Day, enjoy a dessert tea from this Stash Tea Sampler, which includes 10 tea bags each of Chocolate Mint Oolong, Decaf Chocolate Hazelnut Black Tea, and Black Forest Black Tea. 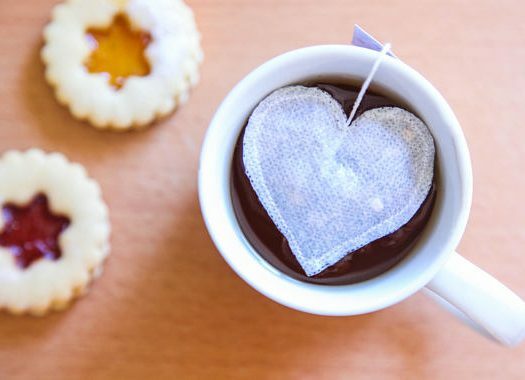 With 30 total teabags, this is one way to make Valentine’s Day last all month long.